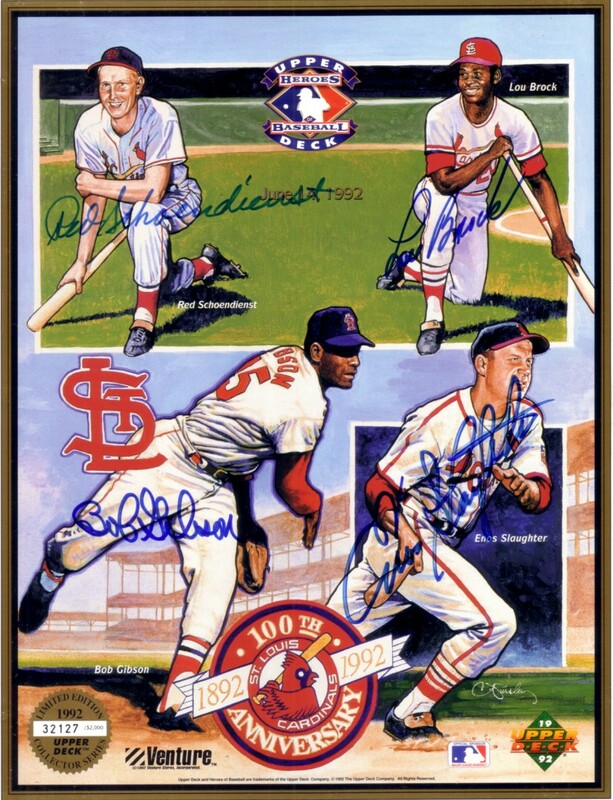 St. Louis Cardinals 100th Anniversary 8 1/2 by 11 inch commemorative card sheet distributed by Upper Deck exclusively at the June 14, 1992 Cardinals home game, autographed in blue marker by Hall of Famers Lou Brock, Bob Gibson, Red Schoendienst and Enos Slaughter (deceased). Has minor wear. 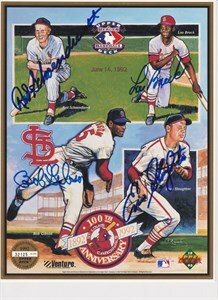 Completely signed sheets are extremely rare. Obtained in person. With certificate of authenticity from AutographsForSale.com. ONLY ONE AT THIS PRICE AVAILABLE FOR SALE.